I haven’t done a nail related beauty post before now, probably because I really don’t have good nails on my hands. They are quite soft and brittle, I take a lot of calcium so I’m not sure why, but I always have polish on them to keep them covered up. I’m not great at painting my own nails so I tend to get them done in a salon, and often switch between getting a Shellac three week polish or just a simple file and paint. And as it’s coming into summer now, I’ll be getting them done even more regularly. There’s just one issue however. 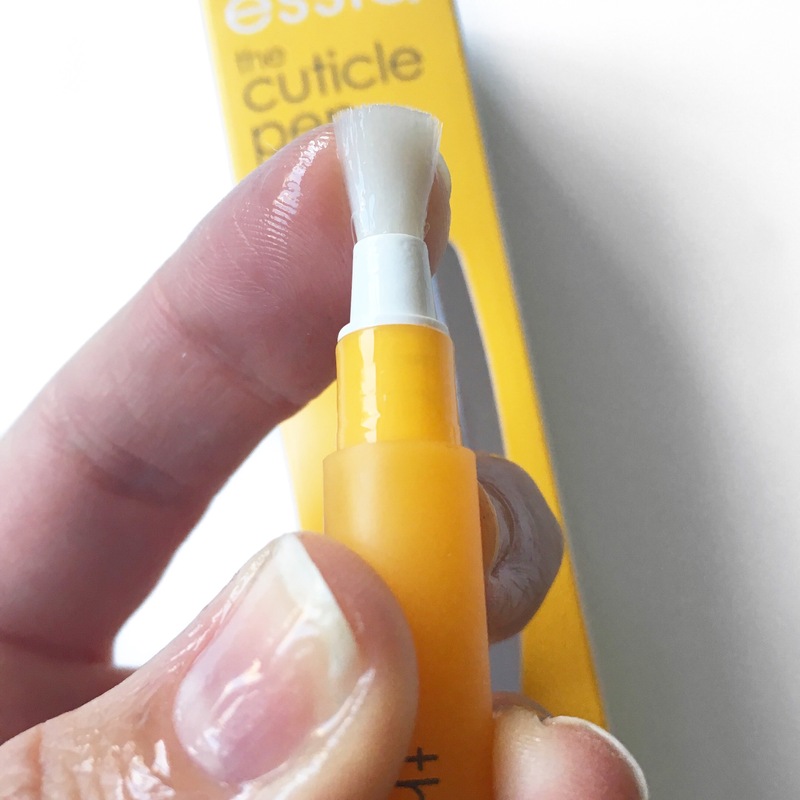 The more polish you wear, the more dry your nails are, and that’s where the essie cuticle pen comes in. I recently got given this to try at an event and started using it about three weeks ago. 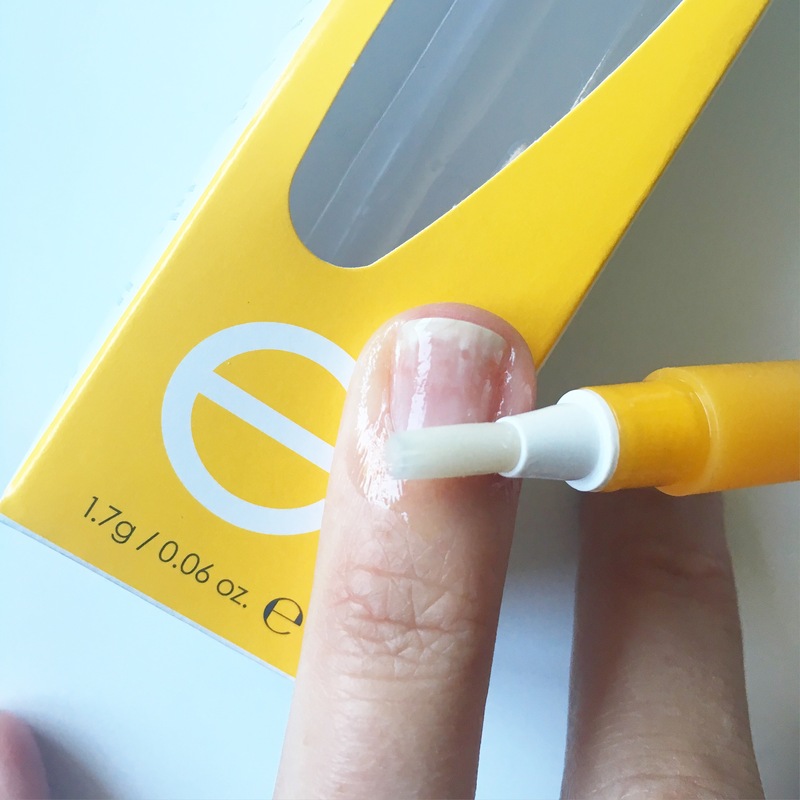 My nail therapist is always telling me to put more oil on my cuticles, and generally I’m very good at doing it, but I just haven’t found it to make a big difference. Until now! 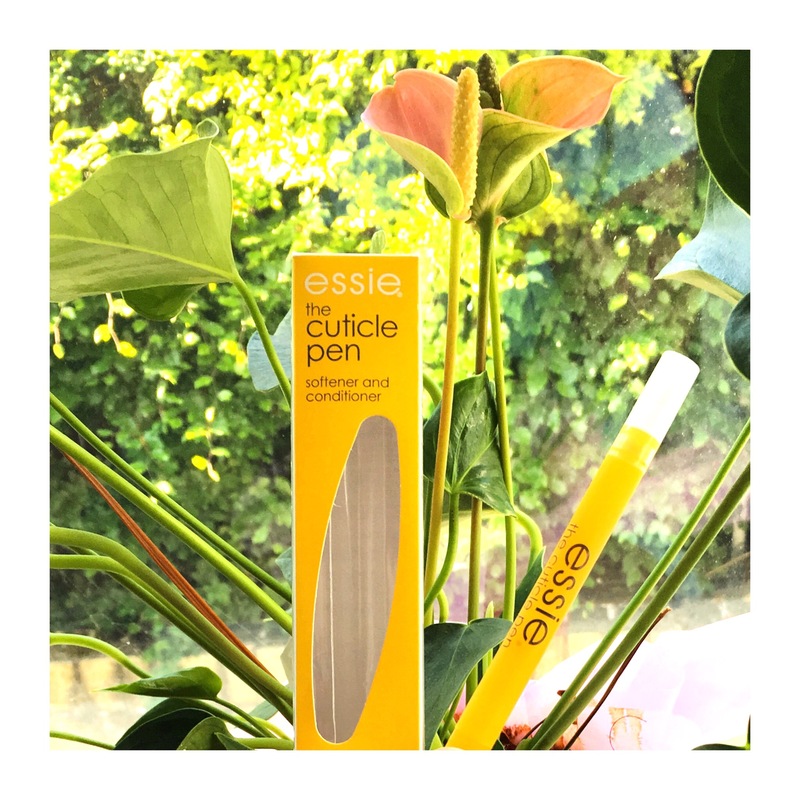 This pen, apart from being so quick and easy to use, is both a softener and conditioner for your cuticles. It contains some fab ingredients such as Jojoba and Soybean oils, and Shea butter, meaning it is super hydrating and moisturising. 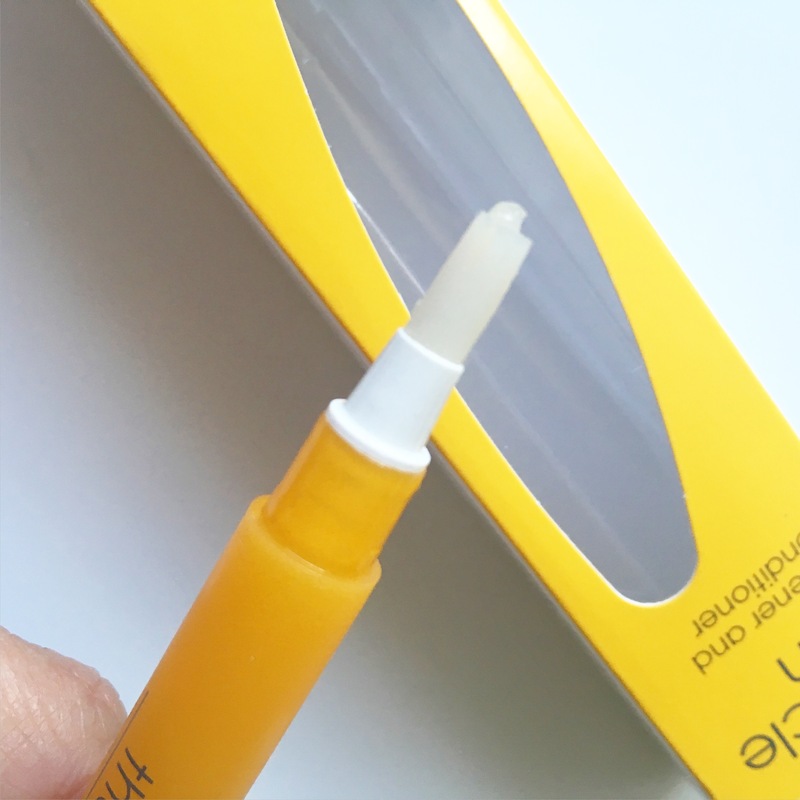 I’ve been applying it almost every evening – you just twist the bottom of the pen to release the oil and using the soft bristle brush, apply to your cuticles and nails. Now while it hasn’t transformed my nails completely, they are definitely less dry and I’ve noticed them becoming much harder too. Usually I can bend my nails quite easily when they aren’t covered in polish, and over the past few weeks that’s happening less and less which makes me so happy! I have always looked at pictures of amazing nails on salon and nail social media accounts with just a little bit of envy, and while I don’t think my nails will ever be quite as fabulous as some of them, they are definitely improving. Have any of you tried this before? I got it from the lovely ladies at the Nuala Woulfe Day Spa in Dublin so I’m not sure of the cost, so if anybody knows then please comment below! 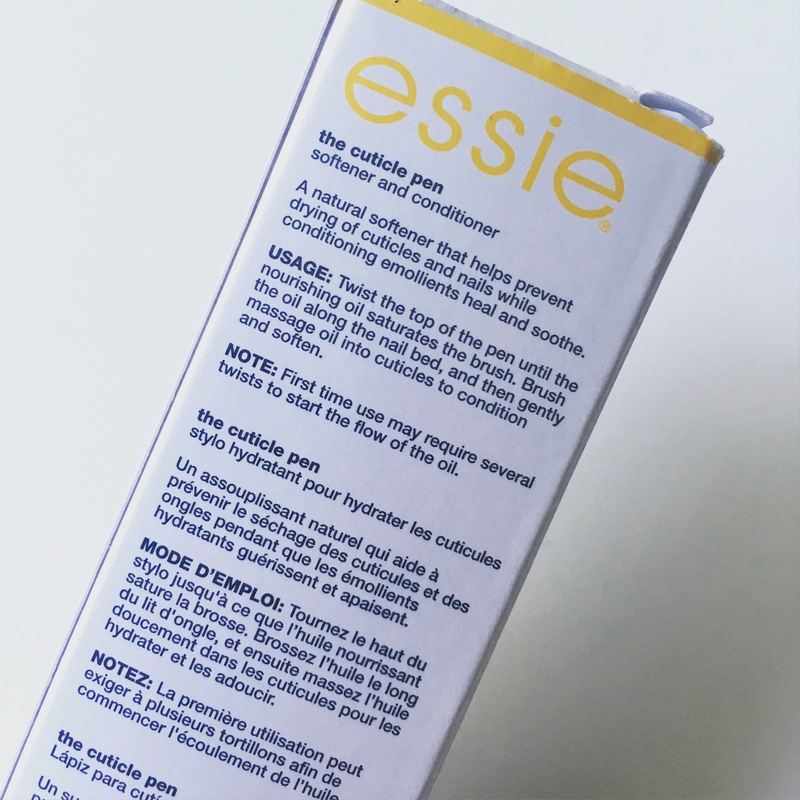 I’m assuming most salons stocking essie products will have it or will at least be able to source it, I also think Boots stock essie products now too. I’m already dreading it running out so I’m going to go on the hunt and buy some more before it does! Next > It’s My Blogiversary! I want it right now! This is some fabulous stuff. I have to check where I can find in Dubai. Thanks for sharing.